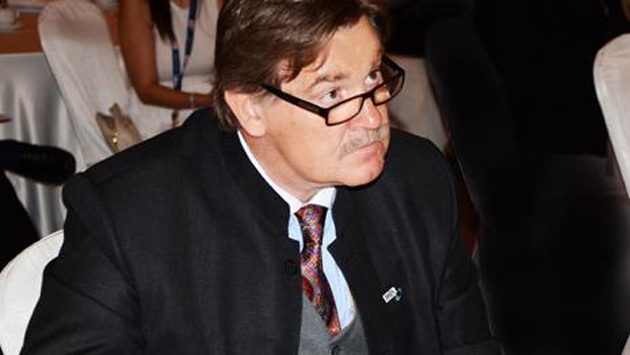 At the recently concluded 37th Annual PATA Travel Mart (Sept. 17 to 19), held this year in Phnom Penh’s Diamond Island Convention and Exhibition Centre, PATA CEO Martin Craigs, announced that he will not seek a third one-year term citing the desire to spend more time at home. PATA COO Mario Hardy was named Interim CEO until a new CEO could be found. After years of running the PATA Foundation, Hardy became COO in February. His long resume also includes a stint at Air Canada. Cambodia, host of the Mart, has seen its tourism figures increase steadily in recent years. In 2013 Cambodia’s visitor arrivals increased 8 percent to over 3.7 million, making up about 16 percent of the country’s GDP and generating about $2.5 billion per year. Airlines, DMOs, hoteliers, tour operators, wholesalers and specialty travel agents from around the globe annually attend the Mart. Scott Supernaw, PATA Chairman and managing director international for Tauck, said that the Mart brought in 450 sellers from 233 organizations, some 52 percent of them first-time sellers to the Mart. 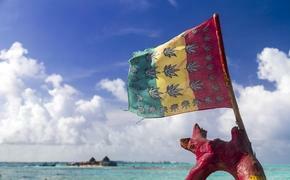 In total, some 31 seller destinations (countries and territories) were present. Those sellers met with 266 buyers from 252 organizations across 48 countries and territories. Some 28 percent of buyers were first-timers to the Mart. The International Conference on Community Development Through Tourism, held two days before the Mart, attracted more than 300 delegates, and the ASEAN Tourism Investment Forum attracted nearly 200 delegates. It was the first year that the Mart included a Responsible Travel Pavilion. The Pavilion provided a business platform for members committed to responsible and sustainable travel. The MicroEnterprise Pavilion, launched for the first time last year in Chengdu at the 2013 Mart, helps smaller companies or family businesses with five to 10 employees operating on $25,000 or less in start-up capital. Last year’s Mart attracted 550 sellers and 473 buyers. Next year’s Mart will be held in Bengaluru, India. In his two-year term, Craigs was perhaps the loudest voice in the struggle to overturn the onerous Air Passenger Duty. He could command a bellicose stance when necessary, but he was an active pursuer of partnerships and a strong voice for opening PATA to younger professionals. His critics, in an organization with powerful hotel voices, thought him too airline oriented. Heading PATA will be difficult for anyone because the organization was so good at teaching tourism market to its 40 odd Pacific Asia members that its own mission came into question. Craigs strengthened the organization via partnerships with such powerful media outlets as the BBC, Lonely Planet and TripAdvisor. For two days prior to the Mart getting underway, the Inaugural International Conference on Community Development Through Tourism also met in Phnom Penh. 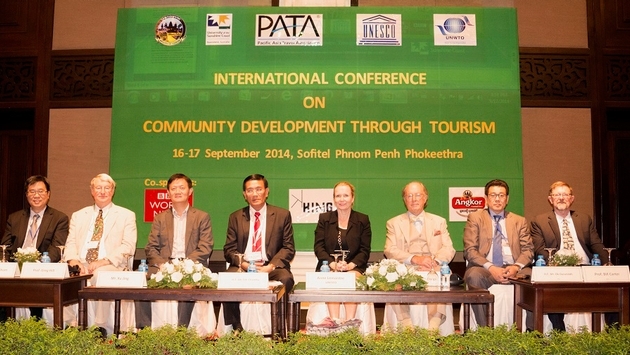 The conference explored ways that tourism could play a more constructive role in community based development. The conference highlighted case studies and examined institutional and practical mechanisms that included a broader base of stakeholders.